Yes to all of these!Â I wonder which songs will be used when the series gets made in to a TV series! So excited for that! Everytime I heard Maroon 5's Daylight or One More Night....I think of them too..
Gideons song should be Areosmith's "I don't want to miss a thing". So apt. The Reason by Hoobastank - great song that fits the ending of Relected In You when Gideon was being secretive and pulling away from Eva. By Your Side by Sade - this song really explains the passion they have for each other. Gorilla by Bruno Mars - portrays the animalistic side!! Skin by Rihanna - Bedroom talk! Edge of Desire by John Mayer - one of my favorite songs ever, this is so raw and emotional that perfectly explains the need and want of G & E for each other, especially when they spend time apart. Dark Side by Kelly Clarkson - speaks for Gideon. Save Me From Myself - speaks for Eva. Pusher Love Girl by Justin Timberlake - because Eva is his drug, and vice versa. Try Sleeping with a Broken Heart by Alicia Keys - Eva's thoughts when she and Gideon "break up". Glad you Came by The Wanted ....lol..
One lyric that sticks out: These Fist, Will Always Protect You..! Yup that's Gideon..!! Another FSOGÂ even though it definitely explains things for them. Another oldie. Chicago's. "if you leave me now" when Eva dumps Gideon on that Saturday, while he's at the police station. You know you really love a woman...."
"You Know you Really Love A Woman"
OK, Gideon, this one's for you..."To really love a womanTo understand her - you gotta know her deep insideHear every thought - see every dreamN' give her wings - if she wants to flyThen when you find yourself lyin' helpless in her armsYou know you really love a woman...."Brian Adams:"You Know you Really Love A Woman"
"Buttons" by the Pussycat Dolls. For Corrine, sexually frustrated by a guy she's absolutely convinced, by the way he's hanging around her, wants to f*** her, But the guy won't lay a hand on her yet, and it's driving the woman crazy. The chorus "loosen up my buttons" is about the woman daring the guy to take her clothes off and .... well. She's sick of waiting and has decided to flat out proposition the guy herself. Corrine seduced him once before, many years ago. How much longer is she going to wait now for him to make the first move now? Is she reaching the point where once again, she's going to try to take sexual matters into her own hands? Like she's already taken other matters into her own hands - manipulating her way into his life again through guilt, then moving right around the corner from his place, then destroying a new relationship he'd been in, going out on dates with him, and now hanging out with him every opportunity she gets. Sylvia said that the series got picked up by Lionsgate for T.V. I'm hoping for it to be on HBO! Lionsgate does some excellent TV series, including the award-winning Mad Men and Nurse Jackie. 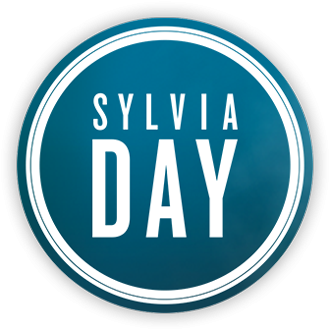 Sylvia's agent deserves a standing-O for negotiating the film rights to Crossfire with such a major film and TV studio. Has anyone really looked at the photo of Henry Cavill I mean really looked at it?? He IS Gideon--he has the cerulean blue eyes the hair over the collar the body and a beautiful smile so I hope Sylvia can snag him for the role because he is perfect! !